Look after your organic visibility in search engines. 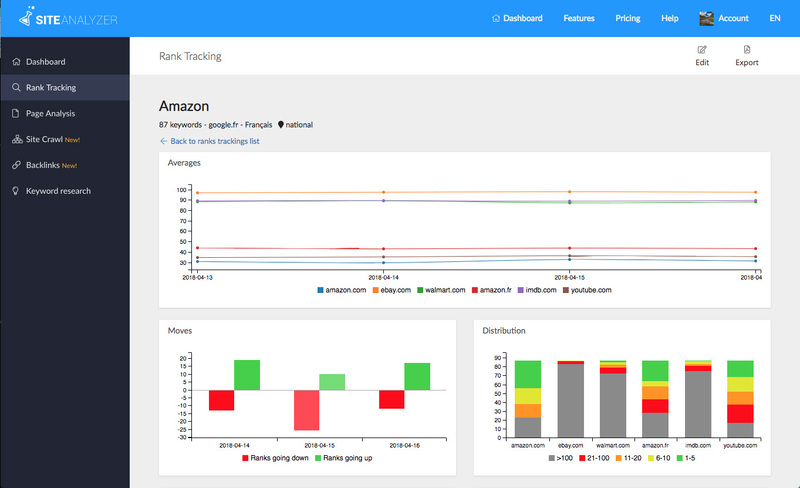 A complete rank tracker with daily monitoring of each keyword with an overview of the first 100 search results (pages 1-10) in all possible language configurations. Carry out national searches in 58 countries and local searches in 36,000 towns across the world. Evaluate the competition in your SEO niche by following your competitors (5 per campaign). Discover, evaluate and get ahead of your competitors. A detailed SERP view with a history of all known positions since the beginning of the tracking. Quickly visualize the evolution of positions in the SERP and discover who is moving up, who is losing speed and who is stagnating among your competitors, and even any new arrivals. Easily read and share your tracked ranks. Simple and colorful images for optimal understanding of the results and evolution trends of each keyword. Each report can be exported: in PDF to have images for your client meetings and in csv for a more in-depth statistical view. 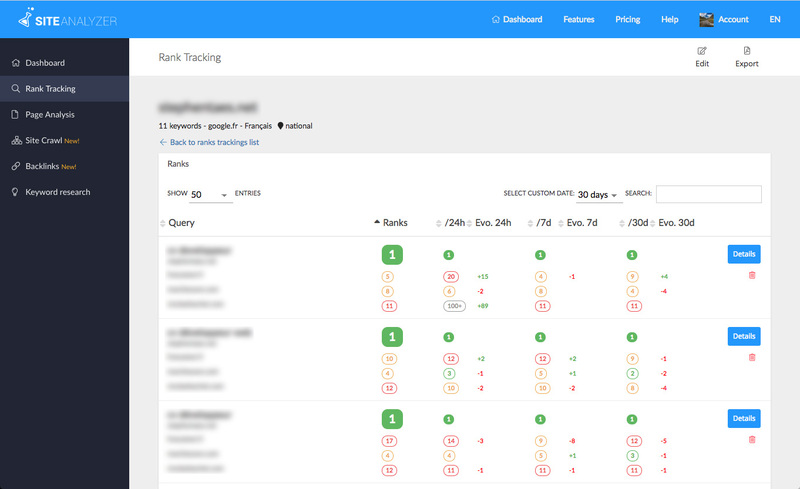 If you need a campaign based seo rank tracker tool, you can use our SEO solution Cocolyze.